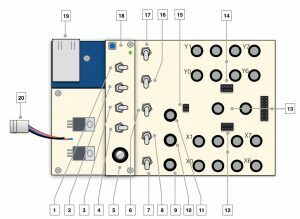 The IpsonCompact is an interface that converts voltages (0-5V) real-time into OpenSoundControl (OSC) messages and at the same time also converts OSC-messages into Pulse Width Modulation (PWM) or digital On/off (0-5V) voltages. 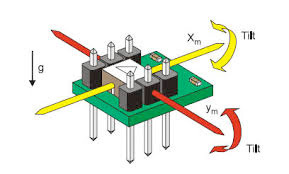 The IpsonCompact consists of one small printed circuit board (pcb) which is mounted on a aluminium heat-sink. 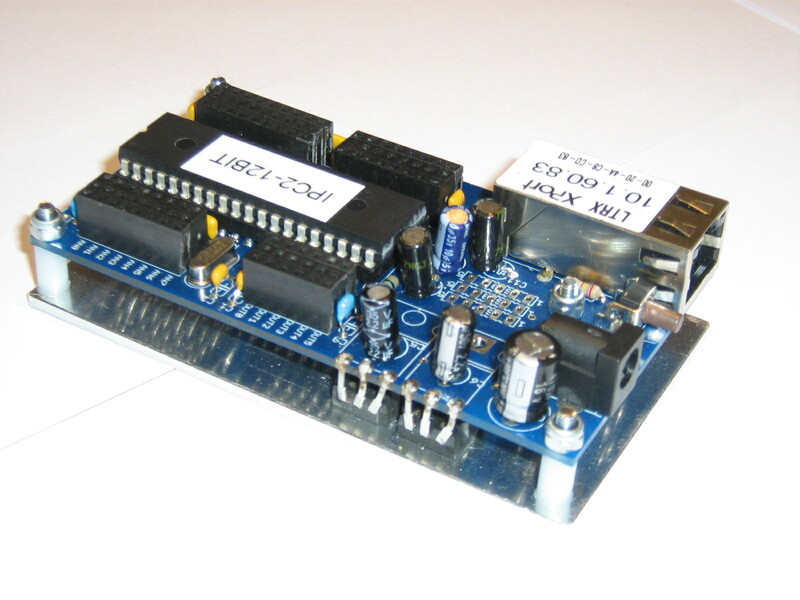 It’s developed around a new version of the Microchip PIC chips series, the PIC18F4423. 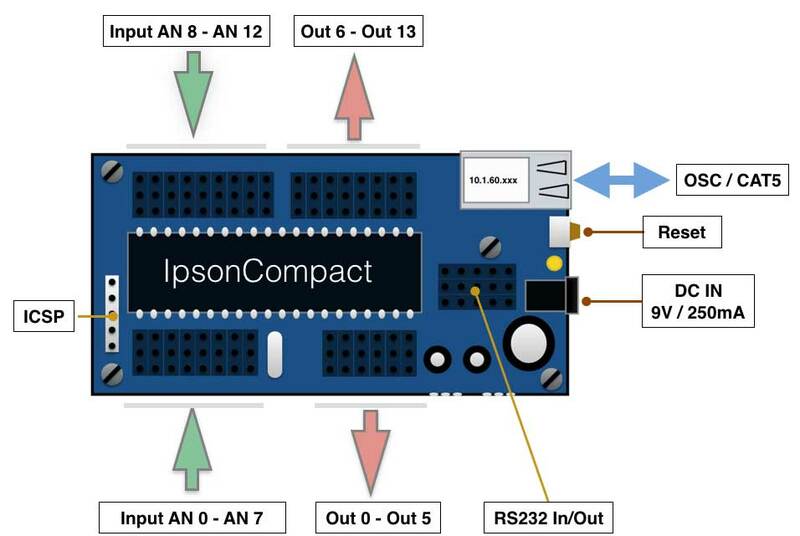 The IpSonCompact has only one processor doing all the conversions. 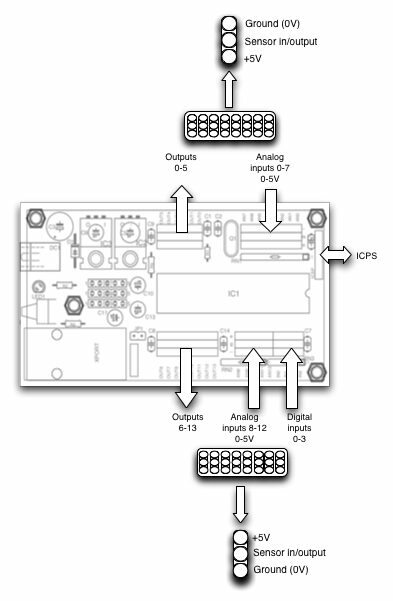 It has 13 analogue inputs (12 bit resolution), 4 digital inputs and 14 outputs (PWM with a 8-bit resolution). The IpSonCompact will send all values of the analogue inputs around 1000 times per second. The sample rate is also adjustable from within Max/Msp. So if no high speed is needed, it can easily be switched. The IpSonCompact can also be configured from within Max/Msp. The sample rate can be set, the threshold per input can be set and the outputs can be configured. The IpSonCompact also has a newer version of the Xport, which has a few improvements: the web-interface improved (more clear to configure) and the host settings are extended. It is easier to send the OSC data to more computers which are not in the same subnet (so called broadcast mode). – 3 time measurement inputs for 3 x ultrsonic distance measurement (srf05). 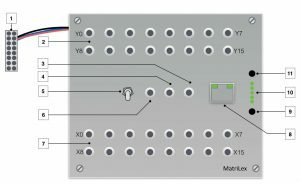 All inputs have a +5V and GND (0V) connection in order to easily connect sensors or actuators. 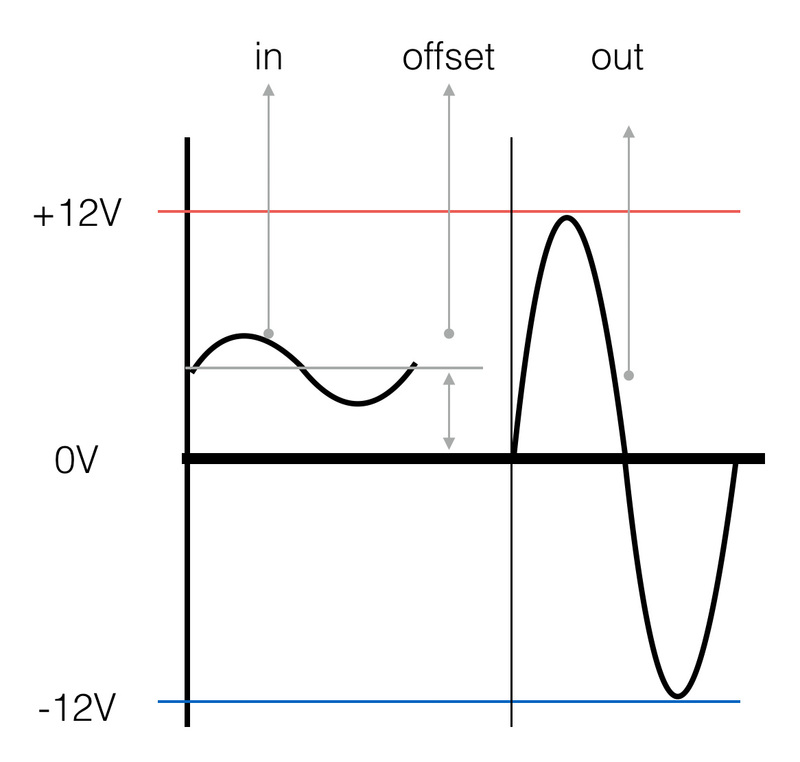 – Also all outputs do have an extra +5V and Gnd connection. 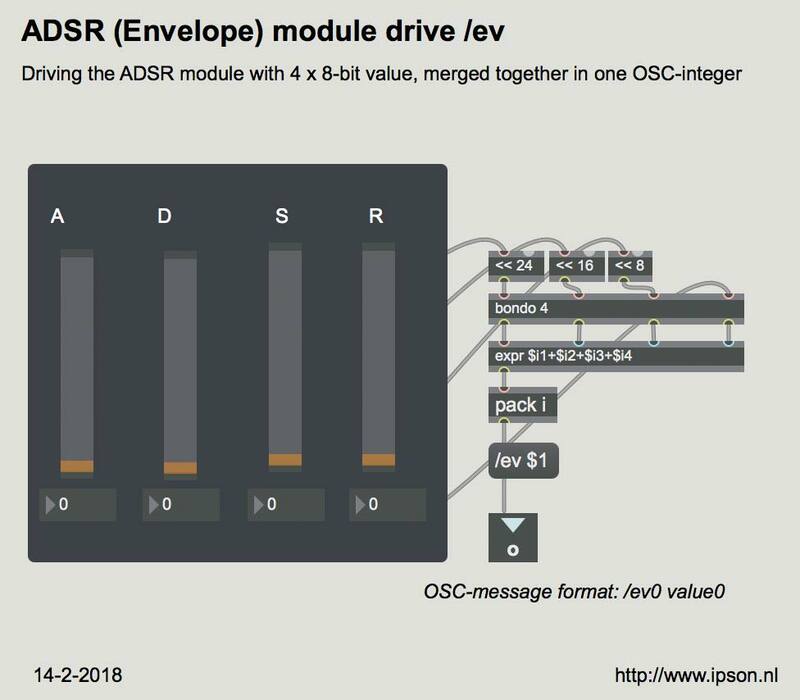 – Communication protocol: Open Sound Controls (OSC).